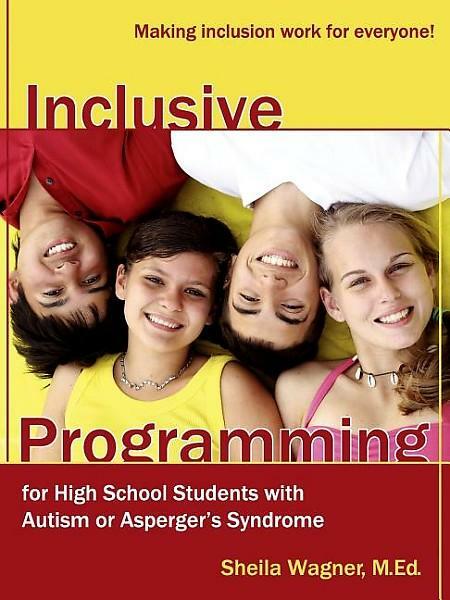 Item Nr: B 95740 Title: Inclusive Programming for High School Students with Autism or Asperger's Syndrome: Making Inclusion Work for Everyone! A comprehensive guide to helping students diagnosed with autism or Asperger's syndrome develop the social and academic skills they will need as adults. Part I: High School, Here We Come! ; Part II: Educational Issues; Part III: Behavior Programming; Part IV: The Social Scene; Part V: Adaptive/Vocational Options; Part VI: Transitioning to the Adult World.